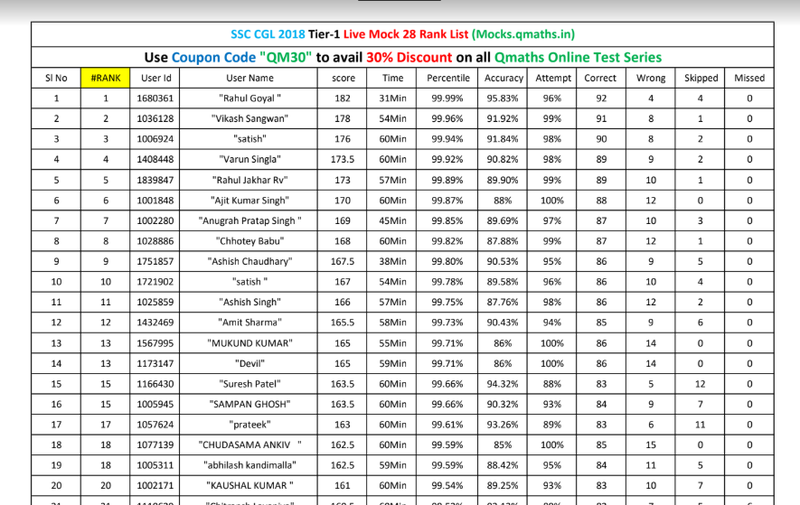 Last weekend Team QMaths Successfully Conducted free live mock test for SSC CGL 2018 Tier-1, & RRB Group-D 2018 from 22-07-18 to 24-07-18 (11.59 pm). 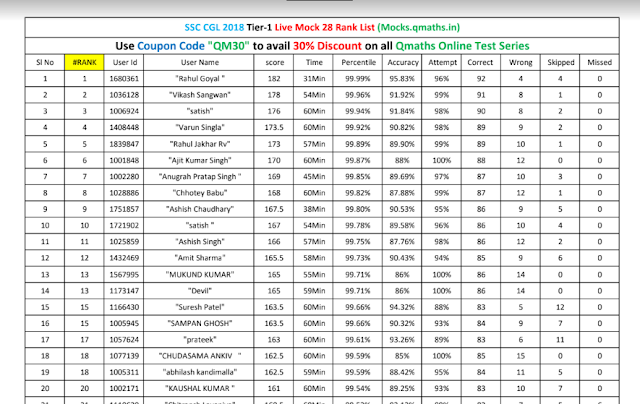 Team QMaths thanks you all for participating in our LIVE MOCK TESTS. In this post, we are sharing the list of toppers and Rank list.